As The Sun Rises… | Phil – Refuelled! This post is prompted by the brand-new linky idea here, at The Olivers Madhouse. 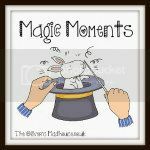 The idea is to say something about a magic moment, that is, a moment that was magic to you – recently or otherwise, each week. OK… Well… I collect moments, as I’ve said before. Some people call them photographs. But every photograph records a moment. And for an opener for this new linky, what could be more appropriate, and more magic, than a moment at dawn? Now, for me, these are some of the hardest moments to record; this is because the task entails getting up early on a day when I otherwise have no need to, and going out in the cold. But it’s worth it. Try it. Oh, and somehow, dawn and water go together. Just watch, and record, the most spectacular, magic, moments. That’s a gorgeous photo; I’m not sure I could drag myself out of bed to get out there and take one though! Phil this is such a lovely post and so apt with the new linky starting. I really ought to take your advice and to pop out at dawn to see dawn breaking. I am aiming to get at least one day break in before the end of this year! How gorgeous! I once sat at the edge of a cliff in Devon watching the sunrise over the sea. There is something very magical about a sunrise – especially when you’re out there, open to the elements and experiencing it first hand. Gorgeous photo, there is something very magical about a sun rise. Thank you all for visiting and commenting. I’m trying to visit back as soon as I can, and I’m enjoying seeing so many lovely entries!